Over the last 15 years while working at “The Cape” I’ve had the opportunity to photograph the Cape Canaveral lighthouse both on the way to work and on the way home. 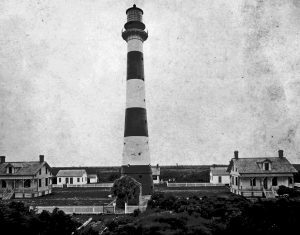 I’ve also researched looking for any history and old photographs of the lighthouse. Below are a couple photos of the lighthouse, from years ago to current day. The B&W photo is courtesy of NASA. 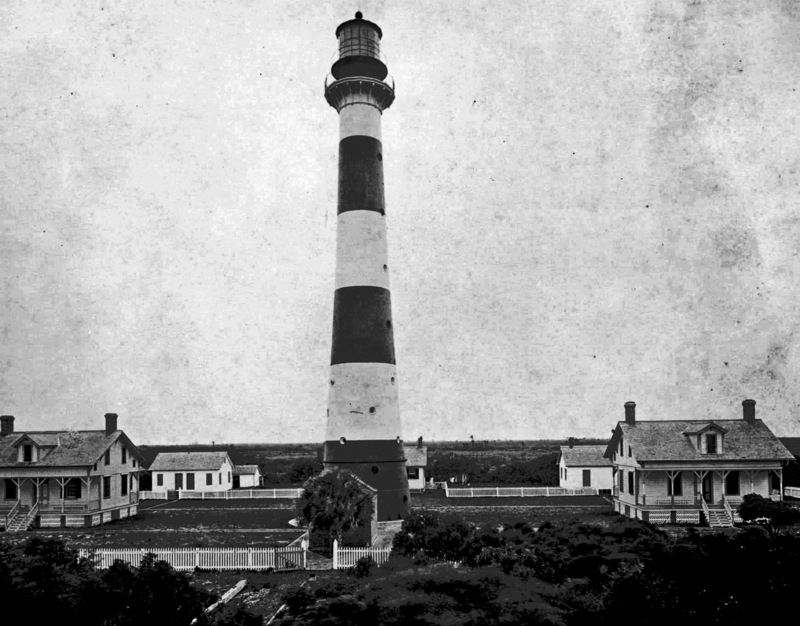 Overall view of the Cape Canaveral Lighthouse in 1905. View shows all the resident houses and outhouses. The storage shed is hidden behind a small tree. Off in the background is a man sitting on the roof of the outhouse. The area is surrounded by a white picket fence. Photo Courtesy of NASA. 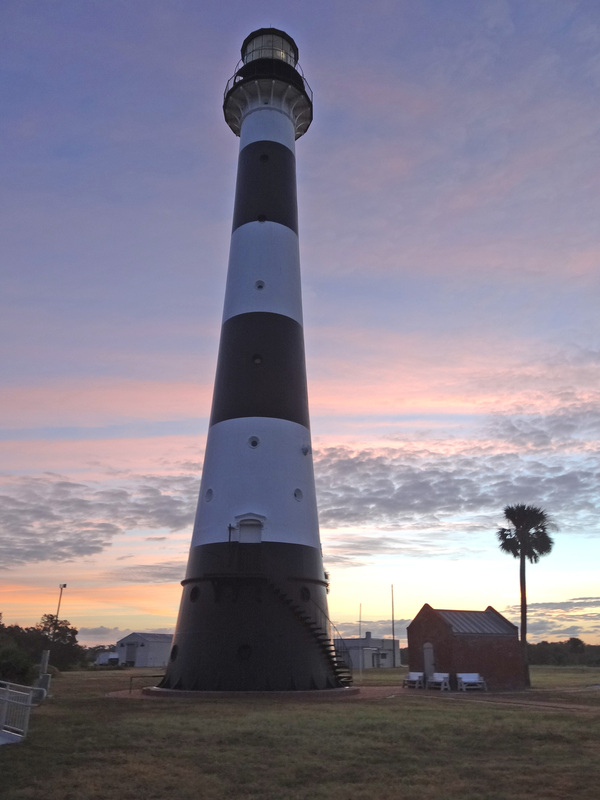 Sunrise at the Cape Canaveral Lighthouse in 2016. The storage shed is visible and is one of the only remaining buildings today.